St. Joseph Family Homes helped to educate and developed him into being an effective leader. He is presently the Director of St. Joseph’s Home for Boys (which helps to support all three family homes and schools) and a home to 16 former street children. Bill’s parental role at St. Joe’s is done with the softness of a gentle giant. Sometimes he needs to deal with complicated adolescent problems of the boys. He also leads worship services and preaches on Sundays. Bill speaks excellent English and is able to communicate very effectively with American guests. 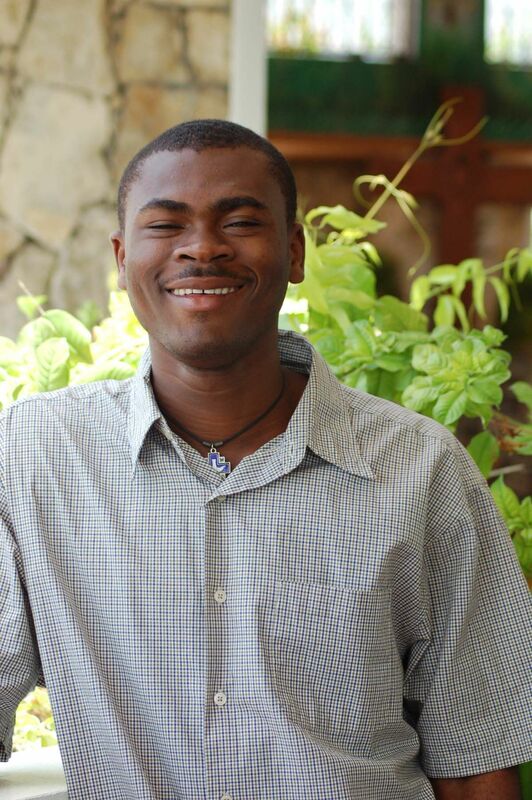 Bill continues his education by attending a University in Port-au-Prince studying economics. He already has a degree in Massage Therapy. Bill continues to be very active in Haiti working to improve the lives of children that are still living in slavery there. Bill is working on a school project at Trinity House in Jacmel that will offer classes in the afternoon to the restaveks (slave children) in that community. By this outreach St. Joseph’s will show the love of Jesus. The children will know that someone cares for them and this will give them hope. Bill is a professional drummer. At World Youth Day in Toronto, Bill was blessed with being able to perform for Pope John Paul II. Bill spent six weeks in Bahia, Brazil teaching dance and drumming at a school of the arts for Brazilian street children. This experience opened up the opportunity that enabled him to go to Africa for a month to study drumming under the drum masters of The Gambia and Senegal. In the summer of 2008 Bill had the opportunity to spend six weeks at Duke University in a submersion program. During this time he performed for many diverse groups among which was a fund-raising carnival to benefit a Durham center for disadvantaged children. Bill also attended the last Telluride Film Festival at Telluride, Colorado where he was a voice for the slave children of Haiti and made several presentations there. Bill also taught a Master Drum class at the University of Nebraska in 2008. HOW DO YOU CHANGE A COUNTRY BUT THROUGH ITS YOUTH? THE LEADERSHIP DEVELOPMENT AT ST. JOSEPH’S HOME IS A BEACON OF HOPE FOR THE POOREST COUNTRY IN THE WESTERN HEMISPHERE.